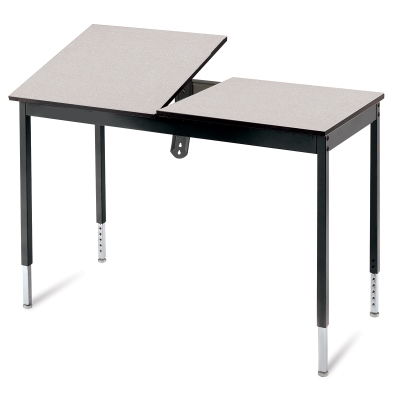 The top of the Smith System CAD Station Graphic Arts Table is split into two work surfaces, so you have space for both paper-and-pencil drafting and computer rendering. Adjust the slope of the desktop up to 45°. The 24" x 48" work surface sits on sturdy steel legs, which adjust from 29" to 39" high. ™ Smith System is a trademark.